Step right up Target shoppers! Right now you can score a REALLY nice price on this toilet tissue/ paper towel stock up! The best part is…you won’t even need a coupon! 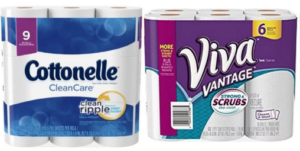 Pay $25.96 at the register, but THEN submit to Saving Star for a $2.00 rebate back on Viva, and $2.00 back on Cottonelle, NEXT Submit to Checkout 51, for a $2.00 rebate back on Viva, and another $2.00 back on Cottonelle for a total of $8.00 back! SCORE!! That drops your total right on down to $17.96, or $4.49 each!! 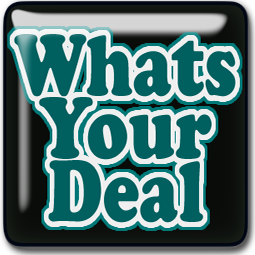 **BONUS** Earn a Checkout 51 BONUS when you redeem BOTH Offers by Wednesday and earn an additional $2.00 like paying a rock bottom low price of only $15.96! WOW! 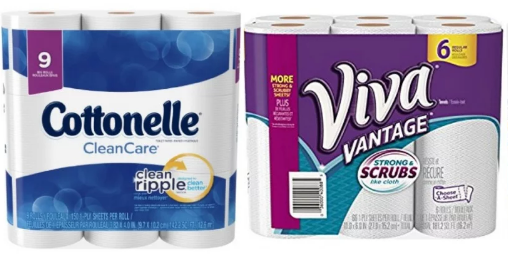 Shoppers Tip…if you would RATHER Have instant savings, use this $1/1 Cottonelle Printable Coupon and save at the register! !